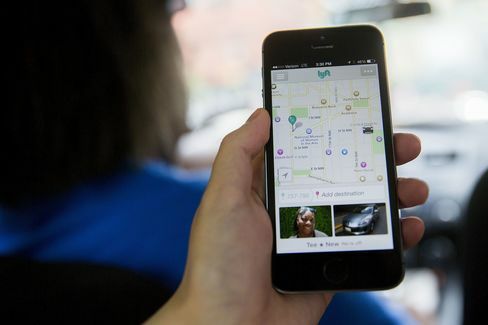 Ride-hailing company Lyft Inc. plans to raise as much as $1 billion in new funds, according to a Delaware state filing, in a round of financing analysts said could sharply boost the valuation of Uber Technologies Inc.’s largest U.S. rival. Lyft didn’t indicate in the Friday evening filing how much had been raised, who was investing in the round or list a valuation. Sven Weber, a financial filings expert, pegged the pre-money valuation at about $4.5 billion while Justin Byers at VC Experts estimates it closer to $3.9 billion. Lyft was valued at $2.5 billion when it announced a previous funding round in March. The latest fundraising round contained some downside protection for new investors, including the provision of extra shares should Lyft go public at a lower valuation. “This is a very modest ratchet function,” said Weber, President of the SharesPost 100 Fund. Fundraising documents prepared by Credit Suisse Group AG showed the company had been in talks to raise $500 million, Bloomberg reported last month. A spokeswoman for Lyft declined to comment. The price of the startup’s preferred stock is now $26.79, according to the filing. That’s up from $19.44 previously, Byers said. Lyft is competing aggressively with Uber, which recently filed to raise $2.1 billion at a $62.5 billion valuation. The discrepancies in the valuations reflect Uber’s pole position in the U.S. and its global ambitions. On Dec. 3, Lyft said it was teaming up with Uber’s biggest rivals in Asia, including China’s Didi Kuaidi, Singapore’s GrabTaxi, India’s Ola, to form a global alliance that will make their apps cross-compatible for travelers. Lyft lost $127 million in the first half of 2015 on $46.7 million in revenue, according to fundraising documents obtained by Bloomberg. It said last month it has gained market share in key markets such as San Francisco, and has a gross revenue “run rate” of $1 billion.